Players with a ball on the basket - basket line at 3-point line facing the basket. Two rows with players at each wing. Pass from 1 to (2/3) at the 3-point line. 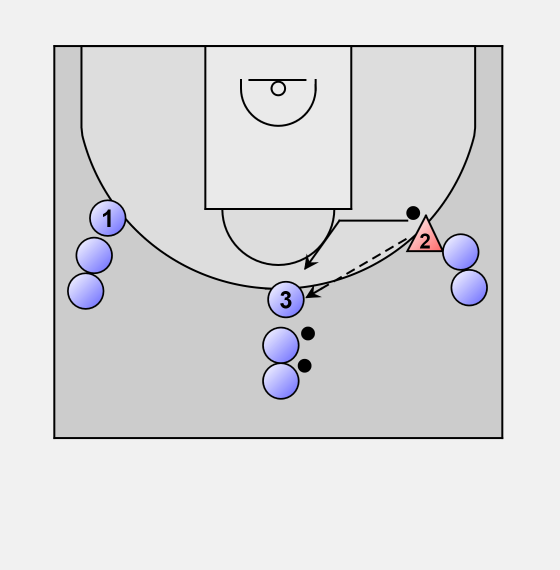 Start Give and Go, but 1 and 3 change position or 1 plays screen away with player 3. 1 goes for the Give and Go, and cuts to the basket. Player 3 goes to the top and player 1 fills the wing. Pass from 2 to 3. 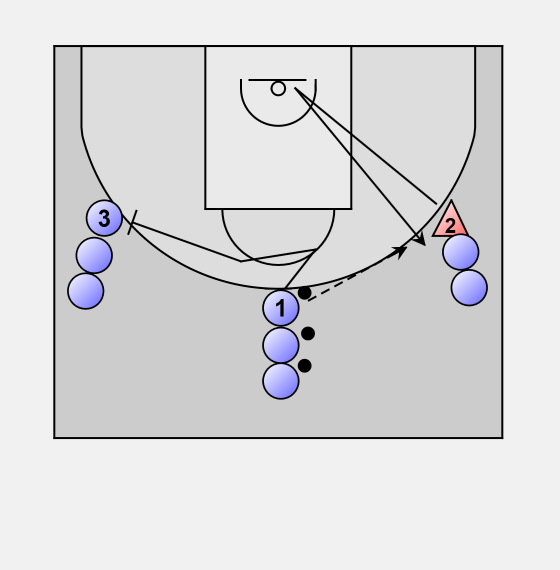 Then close out van 2 on 3 on the weak hand of player 3. (When the ball is in the middle always force the weak hand). 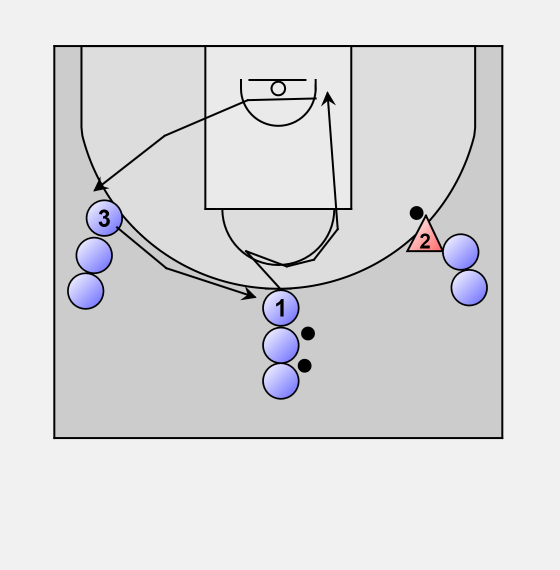 Closeout first sprint then defensive steps; go in a slight curve, not straight to the offensive players. 3 plays 1 on 1 against 2 to the basket. 2 tries to let 3 play with his weakest hand (In this case left). -1) Makes the basket outlet pass from the baseline form 2 to 1. 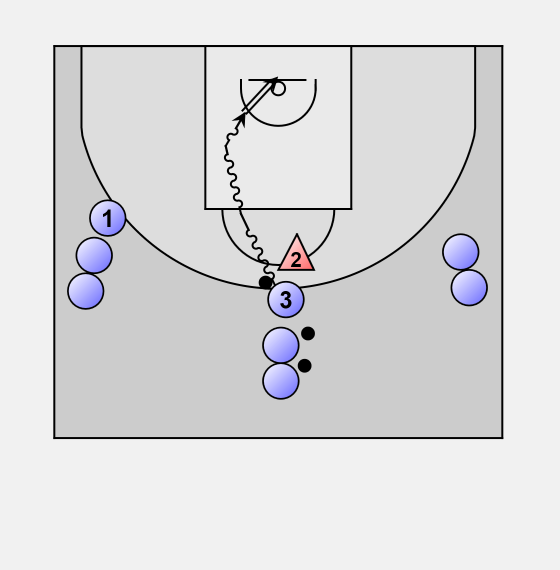 -2) Loses the ball or misses ball, rebound 2 outlet pass from 2 to 1. 3 becomes defense (has to get in front of the ball). 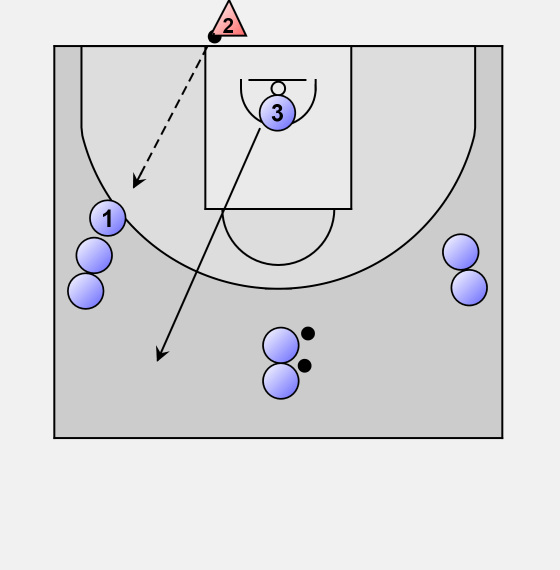 1 and 2 are the offense and play 2 on 1 to the other basket. After that they rotate into the rows.